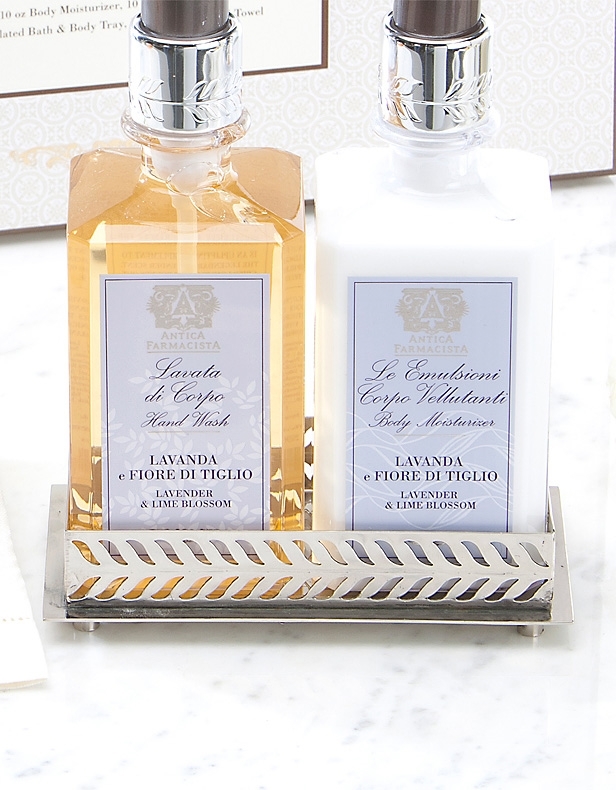 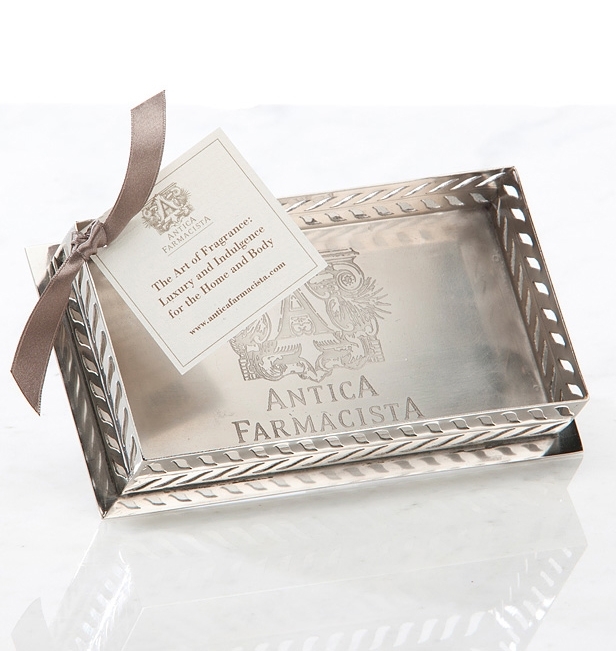 Antica Farmacista's Decorative Counter Tray is a stylish little nickle-plated tray that makes a stylish accompaniment for the 10 oz Ala Moana Hand Wash and 10 oz Body Moisturizer. Beautifully and intricately decorated with a leaf design, this nickle plated tray adds a polished look for any powder room or kitchen. 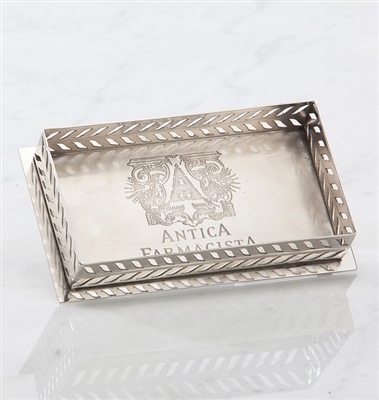 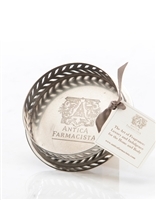 This beautiful rectangular tray fits any set of two 10 oz bath and body product from Antica Farmacista.